Portrait Of A Girl In A School Uniform Who Rides A Bicycle. The Girl Goes To School With Her Doll. Bike Is Non-polluting And Healthy Transport. Happy School Childhood Concept. Back To School. Lizenzfreie Fotos, Bilder Und Stock Fotografie. Image 102753892. 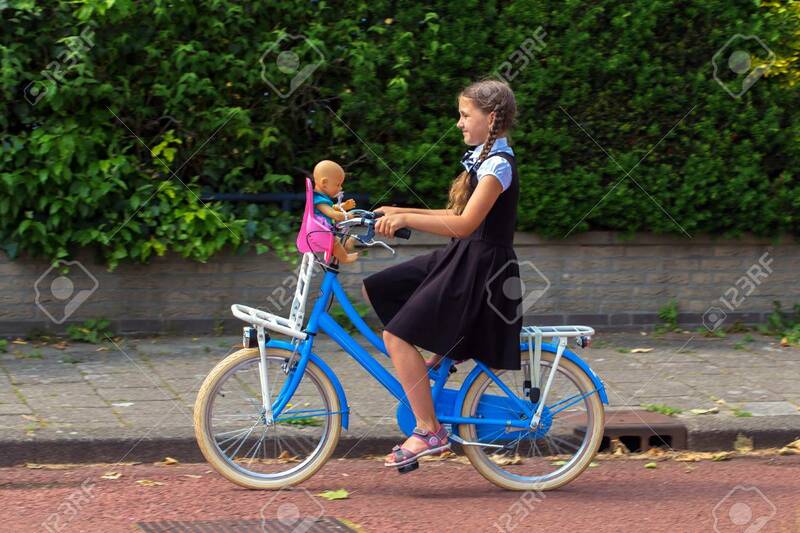 Standard-Bild - Portrait of a girl in a school uniform who rides a bicycle. The girl goes to school with her doll. Bike is non-polluting and healthy transport. Happy school childhood concept. Back to school. Portrait of a girl in a school uniform who rides a bicycle. The girl goes to school with her doll. Bike is non-polluting and healthy transport. Happy school childhood concept. Back to school.